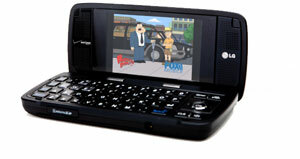 TV Is Going Mobile - What Are Your Options? With the rest of our lives going mobile, there seems to be no logical reason why our entertainment shouldn’t do the same thing. Sure you can download shows from iTunes, but that cost is going to get fairly prohibitive very quickly. The simpler solution is to find ways to make TV more mobile, which it had been in the past thanks to devices such as Sony’s Watchman, but once the television signals went digital, all of those old TVs became useless in a mobile format. Luckily there are some new and not as new solutions that can help you with watching TV where you want, how you want and when you want, including digital television signals (i.e. free) in the palm of your hand. Remember all those commercials you saw on TV about how your old television antennas were going to stop working in 2009, and you needed a digital converter box to continue getting the signal? Well, most people in the United States get their television over cable or satellite subscriptions and didn’t even realize that TV was still transmitted through the air. Even with the new digital signals they can still do so, and over 30 television stations in cities such as Washington D.C., Atlanta, Chicago and more are installing the equipment needed so you can even do it in a moving car thanks to the Open Mobile Video Coalition’s new ATSC Mobile DTV Standard. Sling Media, the makers of the Sling Box line of placeshifting devices, have several solutions for watching television as you see fit. You choose one of their set top boxes and hook it up to your television at home and you then have full control over your television from anywhere you have an Internet connection. The software is also now appearing on mobile devices, and it even recently got approved for use over AT&T’s 3G network, so you can now watch it from your iPhone without relying solely on Wi-Fi availability. The cost of this setup will be the price of the Sling Box (varies by unit, but a couple hundred dollars) and if you watch it from a computer, the viewer is free. Mobile apps do cost, but all fees for purchasing the box or the app are one time fees, there are no subscriptions involved beyond what you pay to your cable or satellite provider. FLO TV are the makers of several mobile devices that range from handheld devices up to units you can put in your car. FLO has partnered with the major over the air networks as well as premium channels like ESPN, MTV, TLC and others to offer a subscription-based mobile television solution that will see you paying an annual fee of $150 for one year, or $200 for two years for the services. In addition you must buy a receiver which will run you around $200. Compared to some of the other solutions, critics such as Richard Doherty, an analyst with the Envisioneering Group, told The New York Times recently, “Free mobile digital TV will be devastating to what is already a very small market for FLO TV.” We tend to agree with him that FLO appears to have the most unsustainable business model. Several mobile carriers already offer television solutions for your phone, such as Verizon’s V Cast service. These of course have a monthly subscription fee that varies by carrier, but they are another option for watching TV on the go. It totally depends on what you want to carry around with you, and how much you want to pay. Personally, I’m a fan of Sling Boxes because it gives me complete access to the channels I already pay for, and it also lets me control my receiver’s built-in TiVo. I can be anywhere in the world with an Internet connection and pull up that episode of Martha Stewart Living I wanted to see where she makes a decorative planter of coat hangers. The idea of the LG portable DVD player with the digital receiver is appealing though as you can watch DVDs or TV with it. This list of solutions isn’t complete, and there are new options appearing all the time, so you should always research before you buy. Again, it is going to be what best suits your life and needs. What would you go with if you were to choose one?